KowCast Ep 20 Take 2! – Listener Q&A: Variant Artists, Chasing Variants, and NYX #3 – Kow Cast! Your Kowabunga Comics Podcast. Let’s try this again! After an audio issue sidelined this episode, James and Eric sat down to re-record. This episode contains a cornucopia of variant cover questions, and some post Logan spec discussion about the outlook on the value of NYX #3. 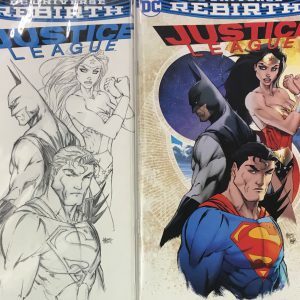 We discuss who the best variant artists to look at are, what considerations you may want to make, as well as what the turn around/flip market is for variants. Included in the discussion are some variants, or rare covers from the “modern age” that you can look for while out hunting the bins. Our favorite variant cover artists, and comparisons for NYX #3 in our very recent past.